The joy of every author is to see that their readers are persuaded by the message being communicated. Authors employ different types of rhetoric strategies namely logos, ethos and pathos to an effort to persuade their readers. However, the choice of rhetoric strategies to be used in an argument depends on a number of things such as the relationship between the author and audience and how the author intends to communicate his message, for instance the author may want to be argumentative and simple. The aim of this article is to identify and analyze different types of persuasive strategies as used by the author, Badke William in his article “What to do with Wikipedia”. This is to establish whether or not these rhetoric strategies were effective in persuading William’s readers into buying his line of argument. The article of analysis in titled “what to do with Wikipedia” written by Badke William. The author argues about the popularity and use of Wikipedia site among online users despite being banned by academic scholars. The author starts by pointing out several cases and reasons that make people use Wikipedia site despite its limitations. William concurs that indeed information contained in Wikipedia site could be shallow. He reminds castigators that the site cautions the users in disclaimers and also advices its users on the need to compare and verify information found on its site with information from scholarly and other reliable sources. He asserts that the use of Wikipedia is there stay and only available option is to improve the site to make it reliable. He then proposes ways and strategies that could be used to improve the quality of information found in Wikipedia site. This type of rhetorical strategy is used in the article to present an argument in a more logical and reasonable manner to persuade readers into accepting his argument on what to do with Wikipedia. The author started by presenting a general overview about the use of Wikipedia site as the source of information for virtually everyone for both general and academic purposes. Introduction presents the author’s concept of argument and leaves the reader with knowledge that indeed Wikipedia is the most preferred online encyclopedia “Wikipedia remains the online encyclopedia of choice for users” (Par 3). The author proceeds logically to mention and discuss argument presented by opponents of Wikipedia. He points out the actual people and their arguments against the use of Wikipedia clearly making readers aware of Wikipedia limitations as the source of information. William then questions himself as to why the site is so popular despite its shortcomings, particularly about the credibility and reliability of its information, “If Wikipedia is so bad….., how can it be so good that much of what you need to know is found there” (par 6). The logical flow is further noticed as the author proceeds to provide and answer to his own question stating that this is the age of Wikipedia hence its popularity is inevitable. However, he is quick to point out that its wide usage could dump down the knowledge since most academic users do not verify information obtained from Wikipedia. Based on this discussion, he eventually suggests ways to improve and embrace Wikipedia as a resourceful tool that is universally accepted for provision of general and academic information. The reader of this article is thus persuaded by the reasoning and argument put forward by the author. The final suggestion by the author is valid in the eyes of the reader and argument and conclusion is free from logical fallacies that characterize many persuasive articles. The use of logos as a rhetorical strategy in the article of William on “What to do with Wikipedia” is thus effective. The use of ethos is easily depicted by the language, the words and sources of information used in the article “What to do with Wikipedia”. The author used reliable sources to support his argument throughout the articles. These sources include the Colbert report of July 2006 (par 5) and reports from university of California (par 6). However, there are cases where the author used information from Wikipedia to argue out his points but being a librarian he was able to verify the information from reliable and credible sources within his reach. The author’s argument though supported the use of Wikipedia; he respected the opinions, argument and positions taken by his opponents. For instance, the reader acknowledged the weaknesses and limitations of using Wikipedia in his article a clear indication that he respects argument and positions of opposing sides hence the successful use of ethos strategy, “Wikipedia is labeled as shallow, unreliable, sometimes slanderous” (Par 4). The arguments presented by the author from introduction to conclusion are meant to create a common ground for both author and his readers. Both the beliefs and values of pros and cons of Wikipedia are argued out by the author. This provides readers with adequate information to make an informed judgment about the argument presented by the author. Based on this information, he logically argues out his side of argument in a ways that is convincing making his article persuasive to readers. The article is grammatically correct and follows the required writing format an indication that the writer followed ethical standards for writing articles hence the reader is able to read it with easiness. The use ethos rhetoric strategy is thus effective in persuading the readers into accepting the line of argument taken by Mr. William in the article “What to do with Wikipedia” (How to write, 2012). Pathos refers to how the author appeals to the reader’s emotions, needs and values in his argument. 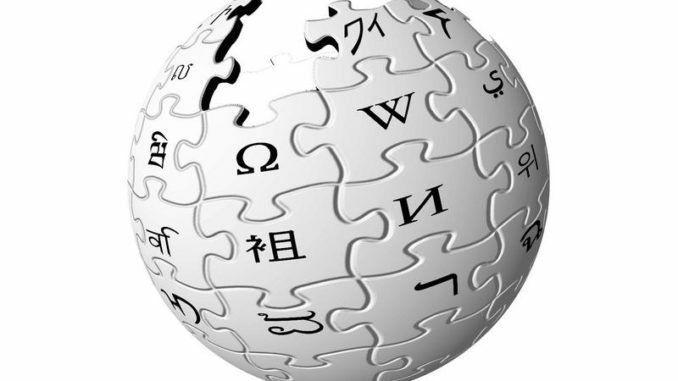 The use of information from real users of Wikipedia and even arguing out that the reader has indeed used Wikipedia makes his argument not only legitimate but real to the readers “Admit it—you use Wikipedia too” (par 3). He argues that the only place where general information can easily be found is from Wikipedia site, this is real and the whole truth which makes his argument persuasive every reader. For instance on which year did George Washington die could easily be found Wikipedia (Par 2). This argument reiterates the need for Wikipedia despite its limitations and this makes readers convinced with his conclusion to enhance the credibility and reliability of information obtained from Wikipedia. The use of pathos is thus effective in persuading readers in accepting that using Wikipedia is not entirely bad to be abolished for it helps several users who would otherwise be stranded. Rhetoric strategies used in the article ‘what to do with Wikipedia by Mr. William could be termed as effective, for they helped in persuading readers into accepting author’s argument. Three persuasive strategies were employed by the author in his argument to enhance the credibility and reliability of Wikipedia information for use in academics. However, logos seem to have had larger impact in persuading the readers about the line of argument taken by the author followed by ethos strategy. The use of pathos in the article though limited, helped in drawing emotional appeals of the reader into accepting author’s line of argument. The use of persuasive strategies were very effective in convincing his readers that the use of Wikipedia is not bad but should be improved to make its information reliable and credible for academic use.